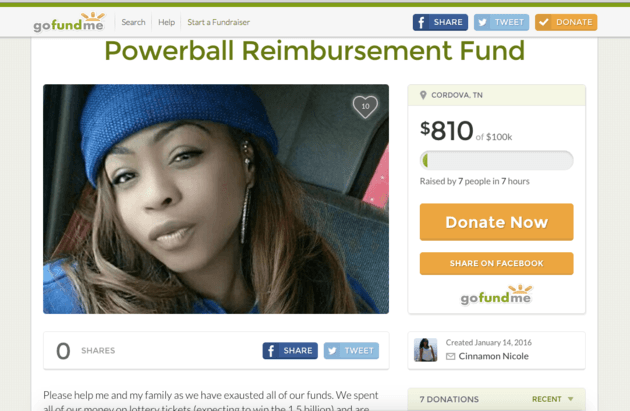 A Gofundme campaign set up by Tennessee woman Cinnamon Nicole has been shut down by site administrators after the woman sought to recoup her life savings of $800 after failing to win Powerball. The account’s closure comes despite the woman raising more than $800 in seven hours time after her and her family told of spending a fortune on lottery tickets last week. What fortune was spend wasn’t necessarily disclosed. A previous post on Nicole’s Facebook page said she won $4 from her tickets. At the time, punters stood a 1 in 292.2 million chance of actually winning the jackpot of $1.58 billion. The campaign managed to raise $800 — out of a $100,000 goal — before being shut down. 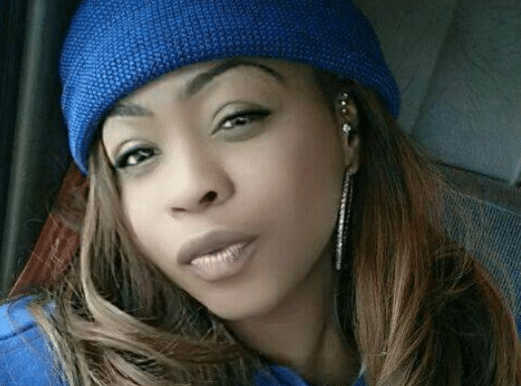 Responding to the resulting media hubris, Cinnamon Nicole thanked her supporters on Facebook Friday and suggested that it was all just a joke. The company added that all of the funds raised have been returned to the donors.